Omaha is an outdoor enthusiast's playground. Tree-lined walking and biking trails wind through the city, five area lakes and two rivers provide a variety of boating and fishing opportunities, and the city's vast array of parks and gardens each offer their own unique fresh-air experience. Click here to utilize the city&apos;s Park Finder to search for a park that offers the activities that are right for your outing. Located near the wooded Missouri River valley and along a main migratory path, Omaha is a birding hotspot. Spring and fall are peak seasons, but because the area offers diverse bird habitat - lakes, prairies, woodlands and riverbanks - a wide variety of bird species can be found most any time of year. 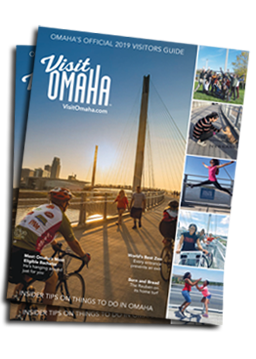 Browse below to explore Omaha’s campgrounds, trails, recreational activities, birding sites, and riverfront fun.